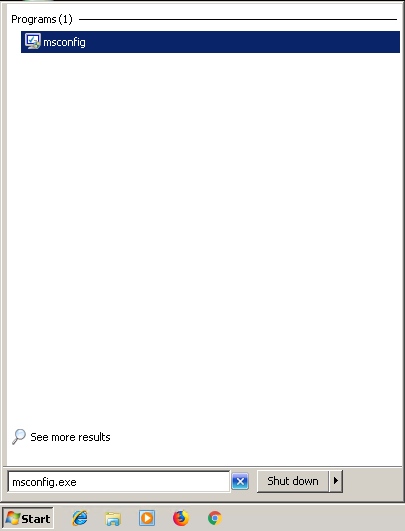 Windows operating system has a function which will start applications during system start. We call this function as Startup Programs. This feature is generally very useful but in some cases, it may be unnecessary and slow down the performance of the system. The System Configuration tool is used to set, enable, disable startup applications and programs. We can open System Configuration in different ways. We can use Run application in order to open System Configuration. We will run msconfig.exe from Run. There is also more easy way to open System Configuration applications where we will simply search in applications in the Start menu. We will just write msconfig.exe where the System Configuration application will be listed. Command line or cmd.exe can be used to open System Configuration. We will just use msconfig.exe from the command line. 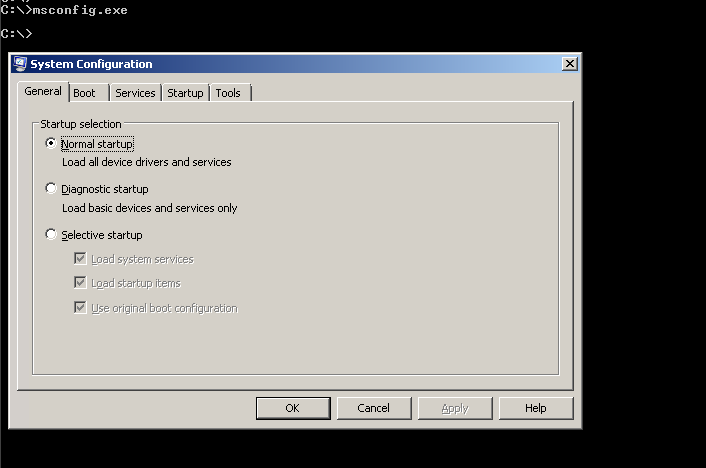 After opening the System Configuration we will navigate to the Startup tab where the startup applications will be listed. We can see below there is only single applications or startup Item named VMware Tools. Existing Startup Programs or Applications will be listed after opening System Configuration -> Startup tab. There are following information about Applications or Programs. Command is the name and path of the command or program which will run after startup. 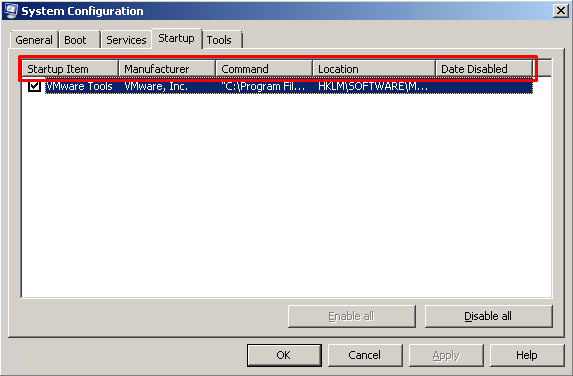 Startup Programs can be easily enabled by enabling the tick which is located the start of the line. 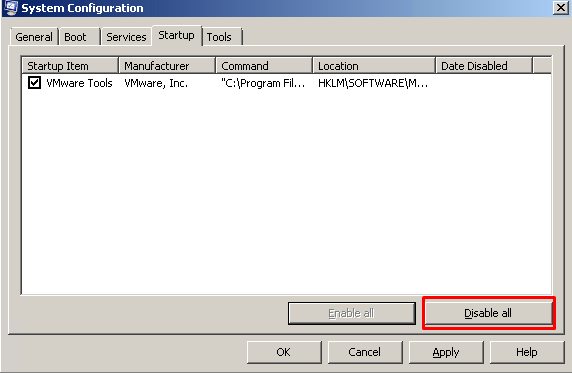 We can also enable the Startup Application by disabling or clicking the tick like below. We can enable all existing startup applications easily. 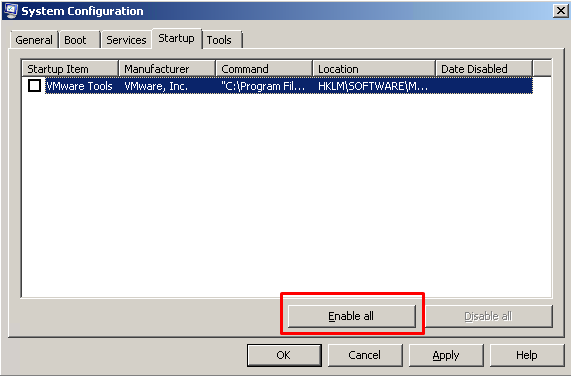 We can use Enable all button which will enable all existing enabled or disabled Startup Applications. 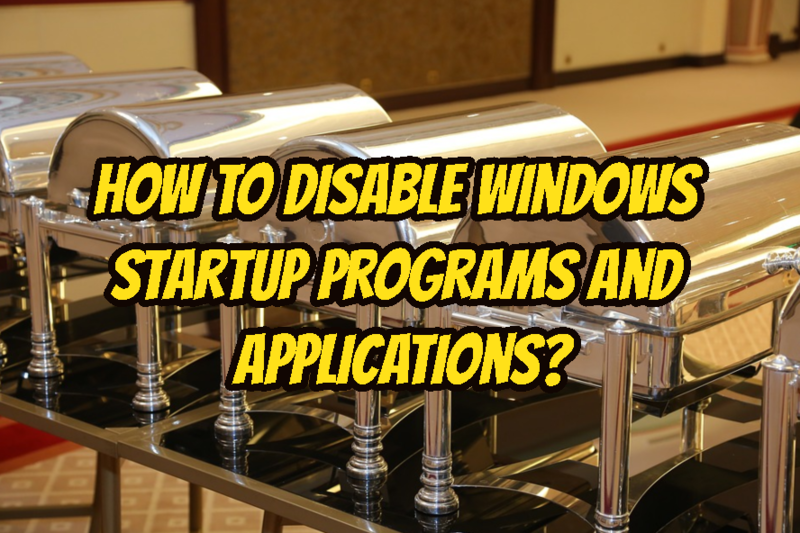 We can disable all existing startup applications easily. We can use Disable all button which will disable all existing enabled or disabled Startup Applications. After making some changes we need to save the configuration changes. We will use OK and Apply buttons like below.